There were seven new titles released to Complete Core in August 2016. There are now 1120 titles in the Complete Core collection. If you subscribe to this package, see a full title list in your Admin account (log-in required), or check it out on our corporate site. If you're interested in upgrading your account to the Complete Core package, email learnmore@credoreference.com. 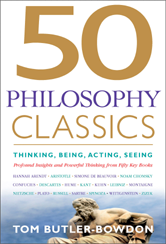 A stunning survey of the "king of disciplines," 50 Philosophy Classics seeks to enlighten and explain, rather than merely instruct. Tom Butler-Bowdon has compiled a remarkable group of thinkers and their seminal works to serve as a lively entry point to the field of philosophy. Analyses of ancient and modern philosophers show how philosophy helped shape the events human history. 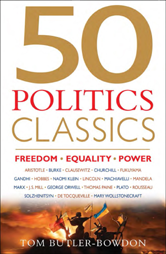 From Abraham Lincoln to Nelson Mandela, and from Aristotle to George Orwell, 50 Politics Classics distills the essence of the books, pamphlets, and speeches of the major leaders and great thinkers that drive real-world change. 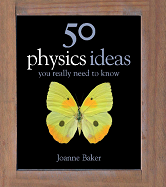 Spanning 2,500 years, left and right, thinkers and doers, Tom Butler-Bowdon's new book covers activists, war strategists, visionary leaders, economists, philosophers of freedom, feminists, conservatives and environmentalists, right up to contemporary classics such as The Spirit Level and No Logo. 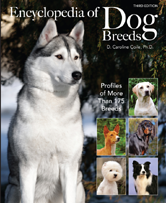 Updated with the latest information on canine breeds recognized by the American Kennel Club, this lavishly illustrated volume is a treasure house of information for dog lovers, owners, breeders, and prospective buyers. Recognizing that ethnic differences are transforming American education expectations, political ideals and popular culture, Gale presents a vital, new multicultural reference. 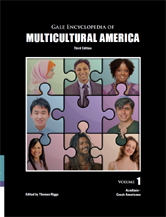 Gale Encyclopedia Of Multicultural America contains original essays on specific minority and ethnic groups in the U.S., with an emphasis on culture (religions, holidays, customs, language) in addition to information on historical background and settlement patterns. 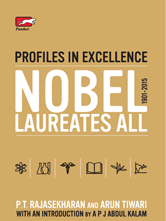 A breakthrough reference work that covers 115 years of Nobel Prizes and is a tribute to over 150 years of the best of human achievements in Science, Literature and Humanity. Intelligence has been among the most controversial constructs in all of the social sciences, from its origin as a concept a thousand years ago by such thinkers as Aristotle, Socrates, and Plato to the present. The answer to the question "What is intelligence?" has tremendous implications for how we view the relationships between mind, education, and society. 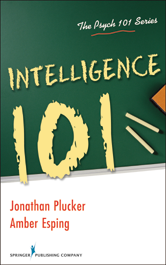 Is intelligence one general trait or a host of multifaceted abilities? Are racial and socioeconomic differences in intelligence evidence of nature or nurture? Are all intelligent people also creative? Are we getting smarter as a species? Do our beliefs about our own intelligence matter? There were no updated or retired titles this month. A full list of updated and retired titles is always available upon request to support@credoreference.com.